In addition to using the very latest diagnostic, laser and surgical equipment, we are dedicated to keeping our physicans and staff informed with the newest technology available, for the diagnosis and treatment of different eye diseases and conditions. 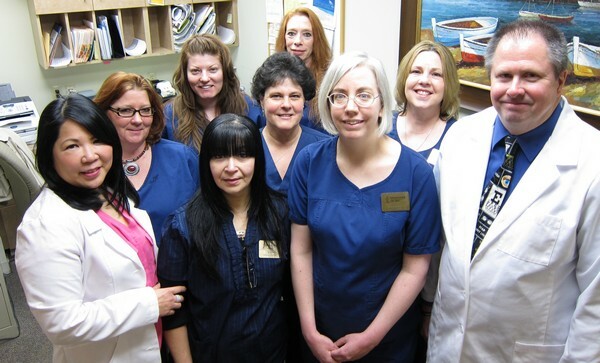 Our staff takes great pride in the personal care and attention we give to all of our patients and their families. The optical center at Keystone Eye Care Group can help you look good and see great with a wide selection of designer and non-designer custom fitted eyeglasses. The optician and our staff spent hours to specifically choose frames that are excellent quality, look great and at the same token are functional, easy to care for and affordable to all of our patients. Our optical center has a full time optician and he makes sure that you as a consumer are provided information on what frame, lens material and design are right for you. 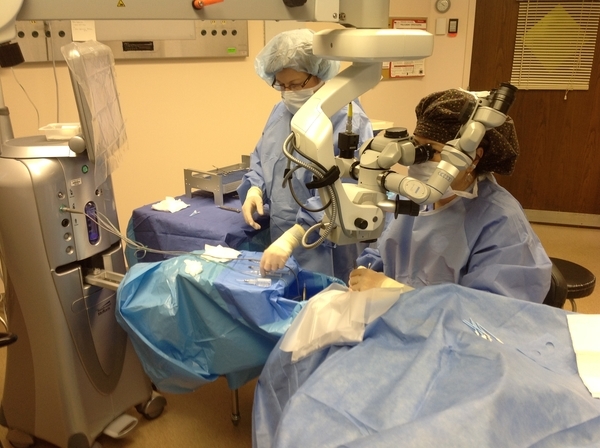 York, PA ophthalmologist, Dr. Shawyin Yee-Armah and York, PA optometrist, Dr. Gregg Peters, of Keystone Eye Care Group, are dedicated to excellence in ophthalmology and optometry such as laser refractive surgery, conditions, treatments, and general eye examination.